Hello Belleville on Bikes supporters! Join us for our very first Jingle Bell Ride! 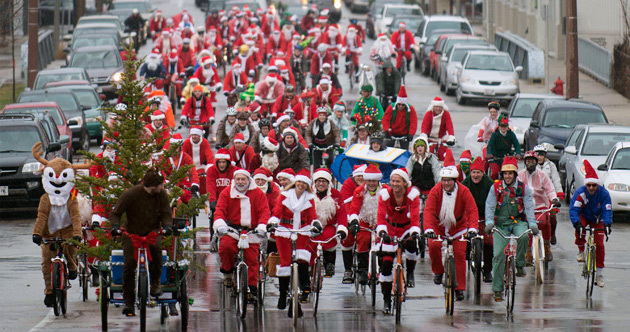 Wear your festive best (Santa suits, elf costumes, reindeer antlers etc) as we celebrate the “gifts” that the City of Belleville has given cyclists in 2016 and give some gifts of our own! The ride will be about 6 km, ending at The Brake Room for some delicious Wassail! There is a Facebook group where we will post updated information on the event. This ride will go on regardless of weather – it is a winter ride after all! The weather forecast is calling for a relatively warm day, but we all know how things can change here in Belleville!